Here at jebiga, we featured a few Corkcicle products– the famous Decapitator bottle opener, wine and beer chiller and aerator (see below). Why? Because they are awesome and will provide you with the ultimate drinking experience. Now, we’re glad to introduce you to the Corkcicle Waterman Collection. In this collection, you’ll find a Tumbler and Canteen. The collection itself is inspired by those who live their life for the water- surfers, swimmers, freedivers…Let us start with the Waterman Canteen. It will keep your drink cold for up to 25 hours and warm for up to 12 hours. This is achieved thanks to its triple insulated stainless steel construction. Corkcicle Canteen comes with a tough and long lasting triple insulated stainless steel construction. The Canteen is perfect for an active lifestyle. You can take it with you wherever you go, the flat sides provide an easy grip, the bottom is a non-slip and you won’t experience that annoying “bottle sweating”. Not to forget the wide mouth that can fit ice cubes. 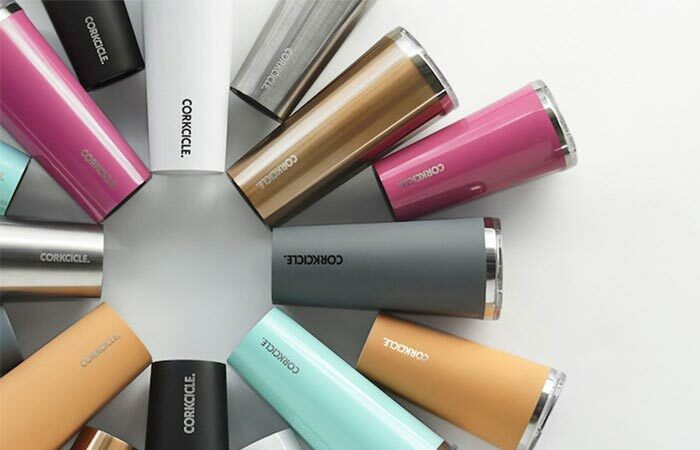 You can get it in a variety of colors and choose between 16 oz or 25 oz capacity. What it does is it keeps your drink cold for up to 25 hours and warm for up to 12 hours. Quite amazing, right? The second item in the Waterman collection is the Tumbler. It has the same triple insulated stainless steel construction and can keep your drinks cold for up to 9 hours and warm for up to 3 hours. 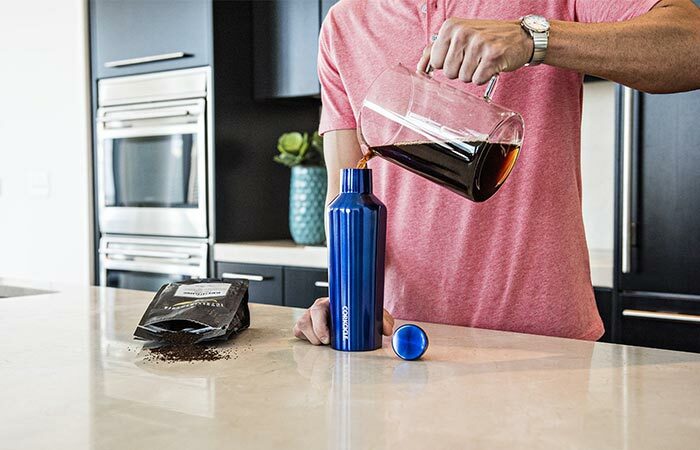 The material allows it to keep the beverage cold two times longer than with plastic tumblers. Another thing that contributes to maintaining the temperature is the shatterproof crystal clear lid. Just like with the Canteen, you can get it in many colors and in both 16 oz and 24 oz. 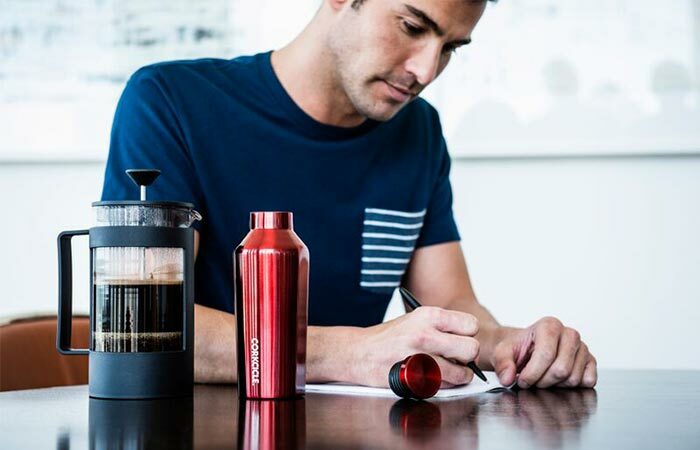 Corkcicle Tumbler, on the other hand, comes with the similar construction but has a shatterproof crystal clear lid.